A total of 27 new establishments have been added to the 2019 installment. Ahead of the MICHELIN Guide Great Britain & Ireland 2019 launch, Michelin is delighted to announce this year’s Bib Gourmand awards. Named after Bibendum—aka, the Michelin Man—the coveted Bib Gourmand award highlights restaurants which offer good quality, good value cooking. A total of 27 new Bib Gourmands have been added to the 2019 guide, bringing the total to 143. London leads the the area with 42 Bib Gourmand eateries, four of which are new. 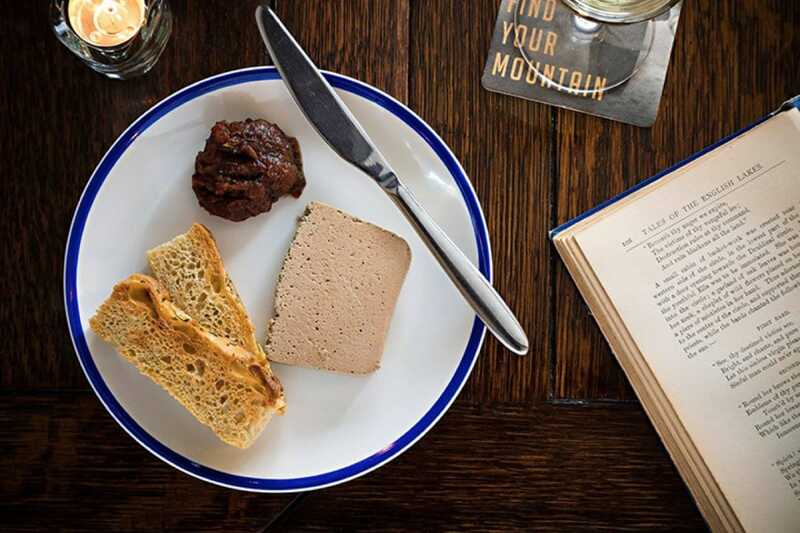 Petit Pois in Hoxton is a cozy bistro serving French fare with tons of flavor, while Peckham’s loveable Kudu offers dishes inspired by its chef’s South African roots. Passionately run Farang in Highbury focuses on Thai street food and the superb Sorella brings the taste of the Amalfi Coast to Clapham. Newcastle’s Route, with its gutsy British small plates, gives a third Bib to the city, while Brighton adds to its growing collection with quirky Italian restaurant Cin Cin. Bristol is a city on the up—a fact born out by its three new Bib Gourmands. Two go to restaurants in converted shipping containers on the old wharf: Root, where vegetables take centre stage, and the super friendly Tare, with its creative cooking. City institution Bell’s Diner & Bar Rooms is the third recipient, with dishes that are chock full of Mediterranean colors and flavors. Pubs are well represented, with six receiving the award this year. These are often at the heart of the community and run by hard-working couples, as is the case at the unashamedly old-fashioned Dog and Gun Inn in Skelton, Cumbria; the hugely characterful Compasses Inn in Crundale, Kent and the rural Crown Inn in Upton, Hampshire, where menus champion the county’s produce. Scotland scores two Bib Gourmands in this year’s guide with Monadh Kitchen in Glasgow and Sugar Boat in Helensburgh, while beachside bistro Bryn Williams at Porth Eirias wins a third Bib for Wales. The Republic of Ireland boasts four new Bib Gourmands, bringing its total number up to 24: Clanbrassil House in Dublin, Tartare in Galway, Dillon’s in Timoleague and Brownes in Tuam; while former Michelin-starred chef Danni Barry gains a Bib Gourmand for Northern Ireland at the charming Clenaghans. Congratulations to all Bib Gourmand awardees. The starred restaurants for the MICHELIN Guide Great Britain & Ireland 2019 will be announced on Monday, October 1. Stay tuned.